TODO: The maintainers have not provided an introduction for this track. Our mentors are friendly, experienced PL/SQL developers who will help teach you new techniques and tricks. Join hundreds of students who have enjoyed learning and improving their skills by taking this track. What I like about it is that I am able to solve the challenges in a TDD way working in a environment that I am familiar (my own PC not a browser IDE) and the cherry on the top of the cake is that I have access to code reviews. 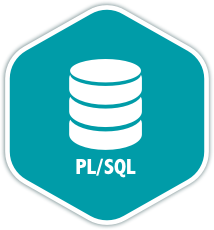 Once you join the PL/SQL language track, you will receive support and feedback from our team of mentors. Here are the bios of a few of the mentors of this track. I work with PL/SQL and other procedural SQL languages. I like to help others and Exercism is the right place. These are a few of the 11 exercises on the PL/SQL track. You can see all the exercises here. Get started with the PL/SQL track. As with everything on Exercism, it's 100% free!